I know it’s only January, but I’m looking ahead to Valentine’s Day. 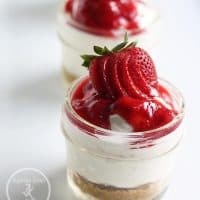 One recipe that is perfect for the upcoming sweet treat day is my Gluten free strawberry cheesecake. This one is not baked, so it’s easy to make and only requires some time to reduce some strawberries. I know fresh is best and I am looking forward to those first spring strawberries. In February, I usually have to search the grocery store for some Florida fresh strawberries. 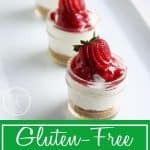 After blogging for several years, I’ve noticed a distinct divide between my early recipes and my newer gluten-free recipes. 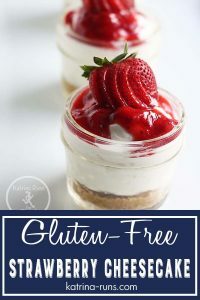 I have no choice but to eat 100% gluten-free so I’m slowly working on some of my best recipes from before 2011 when I was diagnosed with Celiac. The dessert recipes can be the most challenging due to the baking ingredients and measurements. Since this is a no-bake cheesecake, I don’t have to worry about that. This one is inspired by my grandmother who always made her cheesecakes with light and fluffy cream cheese and graham crusts. She never bought the pressed pie-shaped store kind. 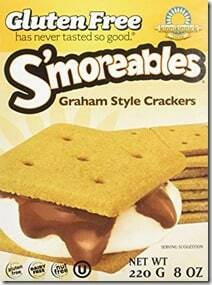 She literally threw crumbled graham crackers in a Tupperware box and layered her cream cheese mixture on top. Then she would top with whichever berry we requested. I usually chose strawberry. Stephen loves the blue. After it set for a few hours, we would scoop it out into bowls and dive in. 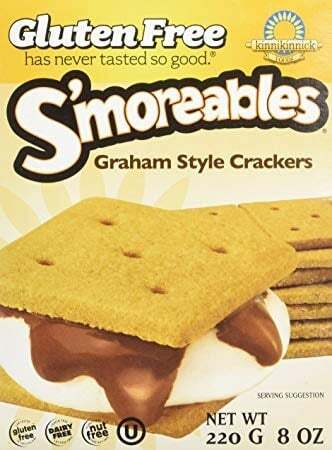 I use Smoreables if I can find them. My second choice is Schar Honeygrams. Because I’m grinding these up, the thickness of the cracker itself is not important. Both of these taste great for a crust. The star of the show is the cheesecake and topping. Also, the recipe calls for using a food processor to grind the crackers. I’ve also thrown them in a zip top bag and beat them into submission with a jar, pan, or rolling pin. It just depends on my current level of aggression that day. Other ideas for sweet treats include Cranberry Bliss Bars and Oreo Balls. 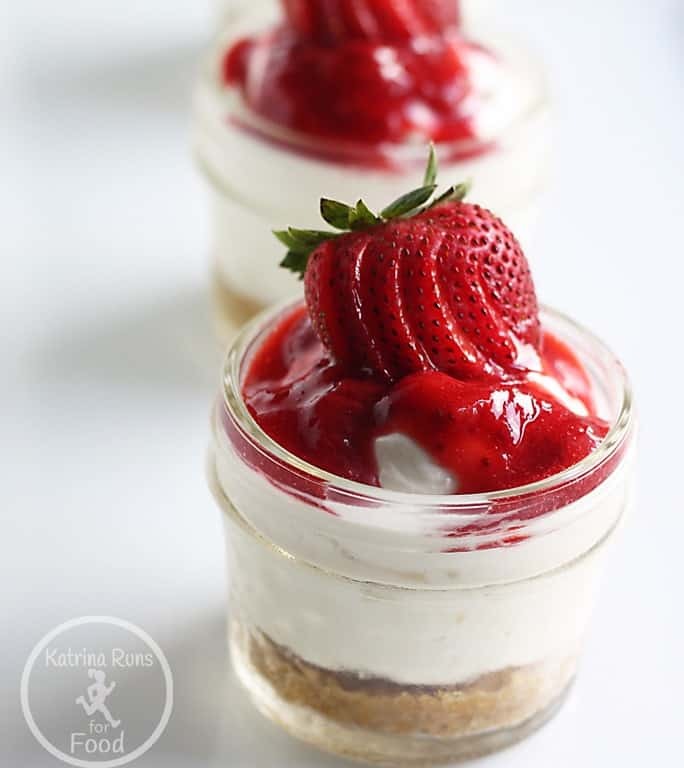 Individual servings of Gluten free strawberry cheesecake. 8 oz. fresh whipped cream or store-bought Cool Whip. Using a food processor, grind the crackers and almond flour together. Drizzle melted butter over the crumbs and stir to combine. Spread evenly in 6 pint jars. Set aside. Mix cream cheese and whipped cream together until fully combined. Add powdered sugar and continue mixing. Using a large spoon, add cream cheese mixture to 6 jars until almost full. In a small saucepan, bring water to a low boil. Add sliced strawberries and sugar, reduce heat to low simmer. Let simmer about 15 minutes until it begins to thicken. DO NOT COVER. Let it cool for another 15 minutes. Putting it in fridge works great if you’re in a hurry. Previous Post: « It’s Alabama Game Day! !